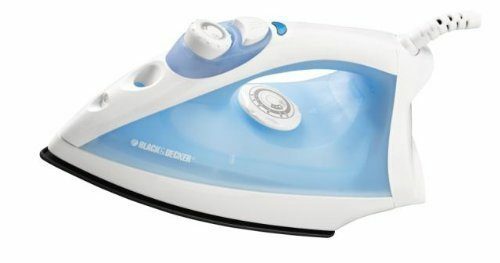 Black & Decker Nonstick Steam Iron Only $10.99! You are here: Home / Great Deals / Amazon Deals / Black & Decker Nonstick Steam Iron Only $10.99! Amazon has a great deal on the Black & Decker Nonstick Steam Iron for Only $10.99! This is 57% off the regular price! Whether you need a new iron or need an additional one for craft, this one will be a great choice for you! Good reviews!